Corrib View Construction Ltd, is an insulation and building construction contractor based in Galway. Corrib View Construction Ltd have an excellent track record as a building contractor in Galway of new builds. For most of us building and owning a house would probably be the biggest investment we would make in our lives, so you need to make sure that it is done properly. How much will the land cost including all the commissions and legal fees? How big is the house going to be? What kind of design you have in mind? Do remember the more angles and curves, the more cost. What method of construction would you go for? Remember some could be cheaper initially but cost more over the long term. What kind of material quality will you be using? Basic, medium or luxury? The cost of the material, shop around and pay less for quality not for cheap. As insulation experts, we can ensure that any new build that we are involved in will be a warm home. One of the great attractions of self building is that it gives you the opportunity to create a home that suits your lifestyle – and is ready to adapt to changes in your circumstances in the future. Perhaps you’re after a property for a new family that will also stand up to teenager’s demands, for example. Or maybe you need a single-storey ‘lifetime home’ that can take you into retirement but still provide plenty of space for guests to stay. 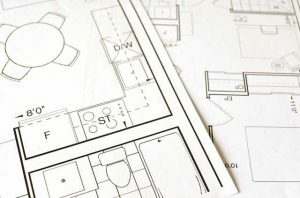 Your home’s overall footprint will depend on your budget and what your local authority planning department is willing to permit, but once you’ve establish an overall size you’ll be free to decide which spaces are more important to you – and arrange your floor plan accordingly. Ultimately, self building gives you control over who designs your project, who builds it and where – if anywhere – compromises are made.